To us that means catching Sailfish on dead baits that are rigged and pulled behind the boat at three to seven knots. Also, We have found that late summer is the best time to target Sailfish on the troll. 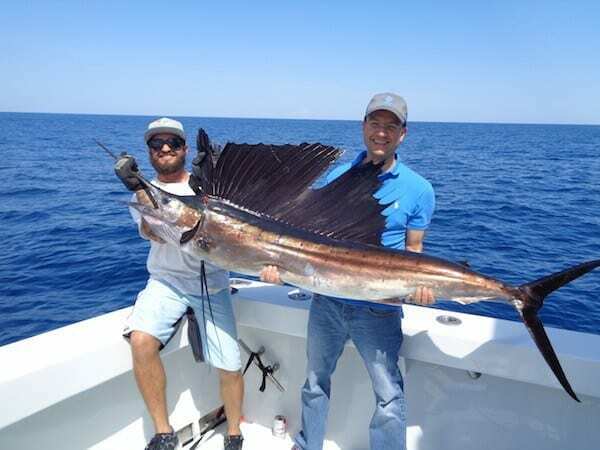 Furthermore August and September are the top months for targeting Sailfish on dead bait. We typically fish live baits under a kite most of the year. 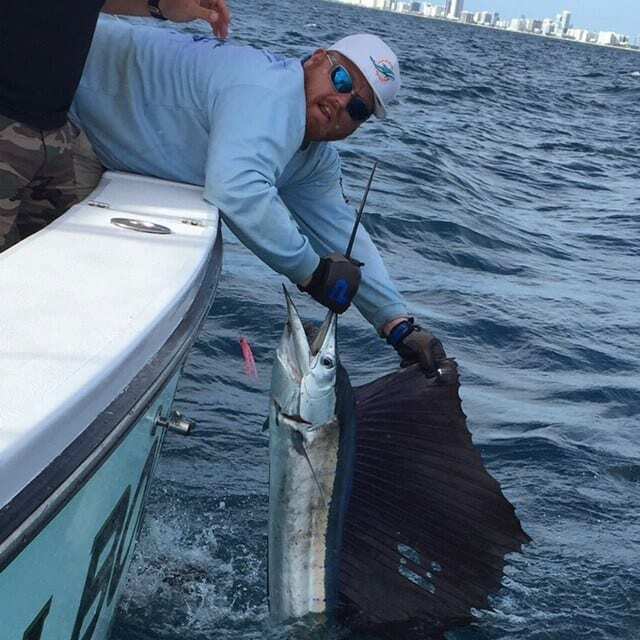 Catching Sailfish off Miami and Miami Beach,while trolling adds quite a bit more challenge for the angler. The top two baits to target late Summer Sailfish are fresh properly cut Bonita strips and small “dink” Ballyhoo. I catch a lot of Little Tunny also called “Bonita” this time of year. Fresh cut belly strips properly rigged swim like a live sardine racing across the surface. The also add a trail of scent that Sailfish crave. As a result add a small chugger or sea witch and skirt combo, and you have a killer rig.I rig our small ballyhoo “old school” style. We fish a single 7/0 needle eye hook. The leader is #7 or #8 steel wire. We use wire leaders for a few reasons. First of all, the steel leader has almost no stretch. That gets a better hook set. It is also hard for the Sailfish to clamp down on the leader. Wire is slippery and slides through the bite, helping the hook get a bite. We also catch quite a few Wahoo and Kingfish this time of year. The wire is great insurance for those fish.